I've been keeping myself busy working on a series of drawings that started when I originally posted this blog entry. That's right, this is a re-post from my previous blog. But, since I hate riding a busy train to Brooklyn without headphones, I'm always changing up my music. If you don't have headphones on the train, you leave yourself open for a bum to hit you up for money or forced to read other people's magazines, books, etc. This entry continues the train of thought from the Random Axe post. Guilty Simpson really stepped it up for Random Axe and people should be more familiar with his work. Roughly a year ago, I saw that Madlib and Guilty Simpson dropped their newest collabo, OJ Simpson. Both Guilty Simpson and Madlib are respected solo artists, but I thought it could be an interesting combination for an album. Madlib's samples and soundtrack-like sounds serve as the backdrop for Guilty Simpson's story telling. It has taken me a couple times of listening to it, but the album grew on me and is still growing on me. 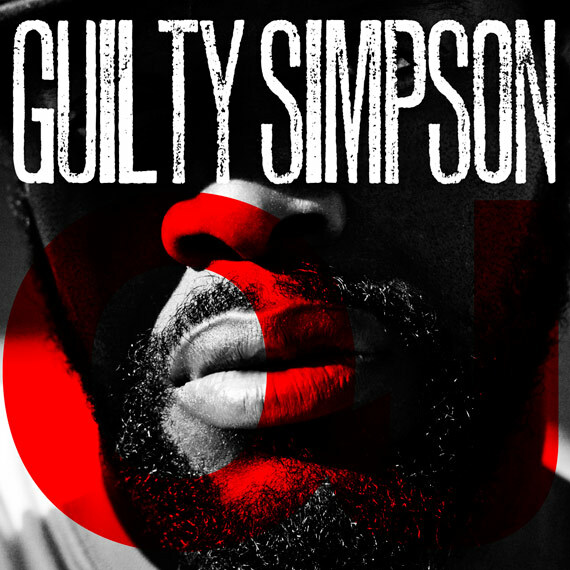 Between each song where Guilty Simpson adds lyrics, there is a completely lyric-less track where Madlib goes off and tells his own stories through samples of Richard Pryor stand up or black exploitation (Blaxploitation) films, mixed in with beats. My first reaction was that this album could have been cut in half because there are 24 songs and 11 of those tracks are a prelude, interlude or intermission. It was frustrating to sit through them at first, but there are some funny and entertaining tracks in there. So before you remove them from your Ipod or MP3 player, give them a chance at least once. Most hip hop heads don't have the patience for it though. Guilty Simpson has a unique voice and delivery. Simpson is from Detroit and he reps it hard and often. He has a combative style and deep hip hop roots. 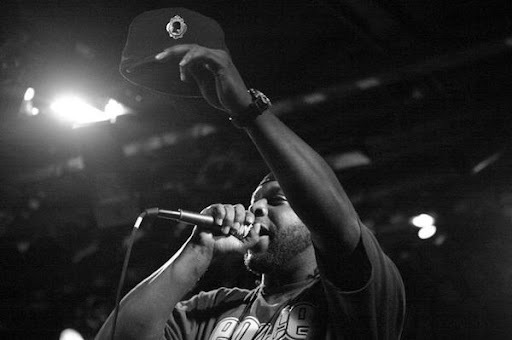 His raps are versatile and strong, but he's not too hard to pay respect to Dilla. A neighbor of mine says that he thinks that Guilty Simpson is better doing collaborations or teaming up with other artists. That probably has something to do with the strength of the tracks that Simpson has released with Sean Price and the fact that the Random Axe album is highly anticipated. Ode To The Ghetto is an album that was a great intro for me to Guilty Simpson. The sound on Ode To The Ghetto could have been a bit more consistent, but it is the album where I first got a glimpse of what Random Axe will be like (on the track titled "Run"). The sound wasn't as consistent because there were several producers working on the album (Black Milk, Mr. Porter, Madlib, Oh No, Dj Babu and Dilla). It was a great album, but I don't think it has received the respect it should. I honestly think it's a case that Simpson has subliminally been punished for working with other great musicians. Dilla and Madlib should be enough, but he's also worked with some of the most respected producers and mc's around today. There's a reason why musicians want to work with him. 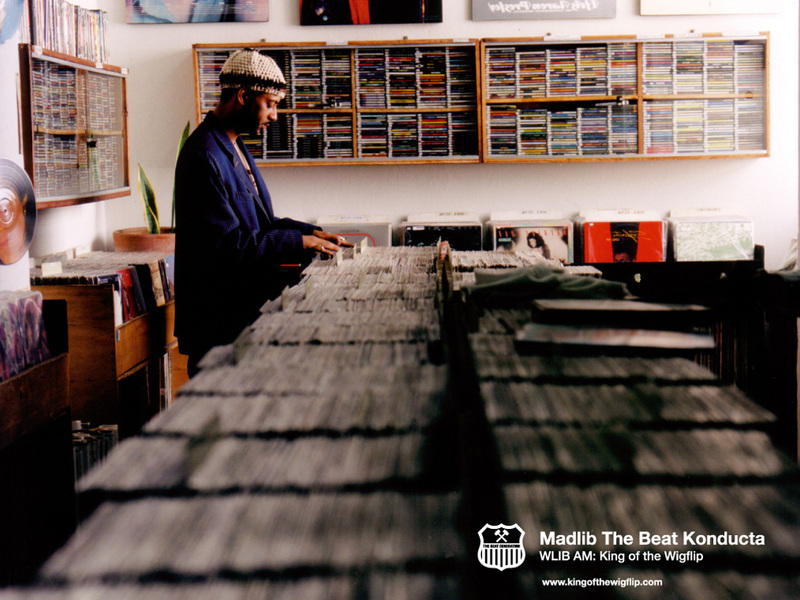 Madlib has an impressive discography. Right off the top of my head, The Auditorium by Mos Def (on The Estatic) is an example of a classic Madlib track from the past couple years. To go a bit further back, Madlib released his Shades of Blue album in 2003. I never really hear much about that album except for people that are fluent in hip hop. Shades Of Blue is one of the albums that either puts me in a mood or I'm already in a mood and I think of the album. It's a combination of remixes where he samples Blue Note jazz albums. It's a great album that interprets some dusty jazz records into a mixture of hip hop beats, jazz trumpets, drum solos and keys. Madlib is one of the best producers out today and it's because he can do just about anything. He is always testing the the boundaries and the comfort level of music in hip hop. Prelude, Introduction, OJ Simpson, New Heights, Karma of a Kingpin, Coroner's Music, A Friend's Help Interlude, Back On The Road Again, Hood Sentence, Cali Hills, Outside, Bow Wow Interlude, Mic Check 313, Trendsetters and 100 Styles.